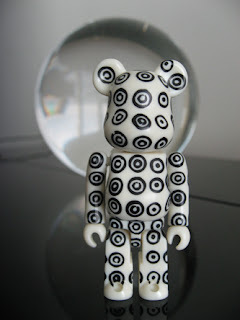 bearbrick love: target? or comme de garcons? Excuuuuse me! Those are not logos of Target on that Be@rbrick. They're concentric patterns designed by Rei Kawakubo, head designer and owner of Comme de Garcons ('like boys' in english), a line of avant garde fashion characterized by deconstruction and sculptural silhouettes. 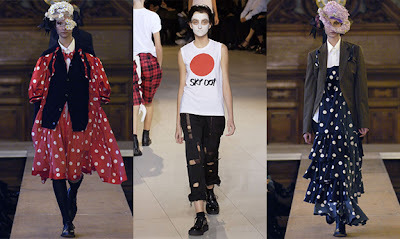 In her fall 2006 collection, Rei has made repeated use of dot patterns in dresses, shirts, and accessories (see below). In the Philippines, these clothes would have been the perfect outfits to ring in the new year, as dots represent money for most superstitious folks.